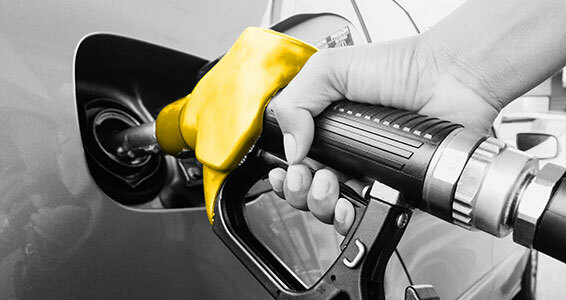 When it comes to Hertz rental car fuel options, we make it easy and leave the decision up to you. Our prices are competitive with local pump prices when you prepay, or, we can refuel for you. When you travel at the speed of Hertz, your refueling option is your choice. No need to refuel the vehicle before you return. Hertz refuels for you. You refuel prior to return. Price is competitive with local pump prices. Price is for fuel and refueling service combined. 1. What is Prepaid Fuel and how does it work? For convenience, you may purchase a full tank of fuel from Hertz at the time of rental, at a price that is competitive with local fuel stations. This method eliminates the need for you to refill the tank before returning. Please, be aware that we are unable to give a refund for unused fuel. 2. Does the car come with a full tank of fuel? 3. What if I don’t use the full tank? We do not provide refunds for unused fuel. 4. Is the gasoline price per gallon similar to local gas stations? Yes, our prices are competitive with local pump prices. 5. What is the Refueling Service Fee? If you do not choose our Prepaid Fuel option and do not return the vehicle with a full tank of fuel, we will fill the tank for you and charge you for the costs we incur and the service we provide in doing so.